LightZone is professional-level digital darkroom software for Windows, Mac OS X, and Linux. 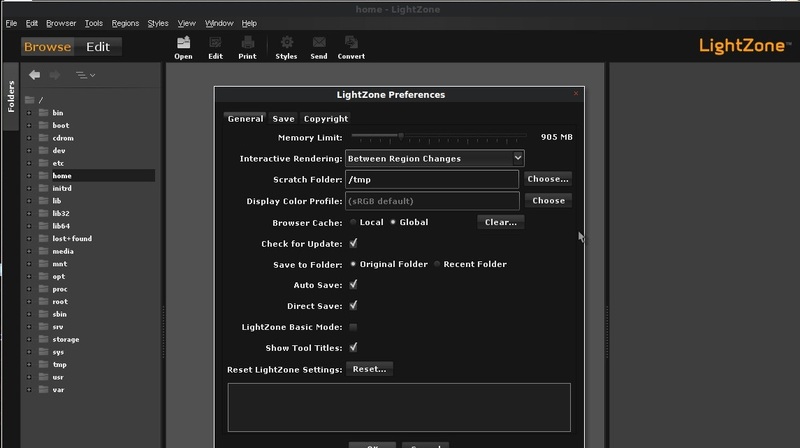 Rather than using layers as many other photo editors do, LightZone lets the user build up a stack of tools which can be rearranged, turned off and on, and removed from the stack. It's a non-destructive editor, where any of the tools can be re-adjusted or modified later — even in a different editing session. A tool stack can be copied to a batch of photos at one time. LightZone operates in a 16-bit linear color space with the wide gamut of ProPhoto RGB. While many of LightZone's tools are standard fare, it offers some unusual ones for tonal control — meaning brightness, contrast, shadows, highlights, etc. Some are inspired by the Zone System, and some are inspired by HDR tone-mapping. These tools put LightZone in a class by itself for working with black-and-white imagery. They're useful for color photos, too. 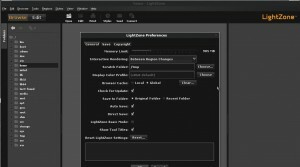 LightZone was created by Light Crafts, Inc., as proprietary software, and was sold starting in 2005. In 2007, MacWorld gave LightZone its Editor's Choice Award. Light Crafts ceased operation in September 2011 and released LightZone to open source in December 2012.
sudo sh -c "echo ‘deb http://download.opensuse.org/repositories/home:/ktgw0316:/LightZone/xUbuntu_13.04/ ./' > /etc/apt/sources.list.d/lightzone.list"
sudo sh -c "echo ‘deb http://download.opensuse.org/repositories/home:/ktgw0316:/LightZone/xUbuntu_12.04/ ./' > /etc/apt/sources.list.d/lightzone.list"
Thx, DarkTable user here, but I’m definitely gonna try this one. Especially for B&W pictures some programs are difficult to set the way I want. Your script installed version 3.9.2 which did not work for me on Ubuntu 13.04. Here is a link to the latest version 4 that worked OK.